So, as a part of the "Said the Giant Project" I have two tumblr blogs dedicated to music and books and I also designed the themes for them. 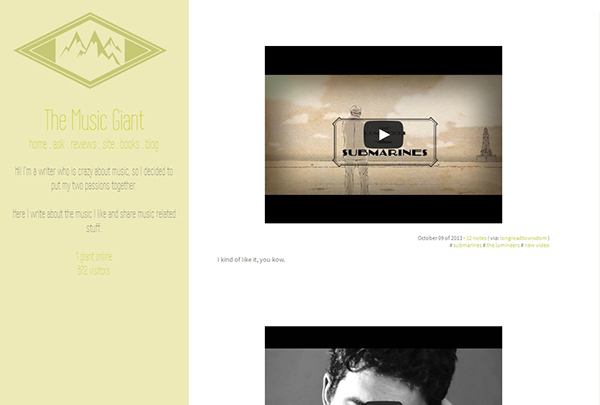 This is the music one, I did using the colors of the music area of the site. 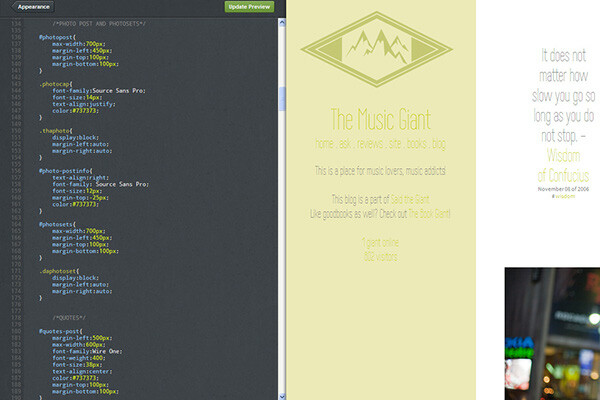 Is a very simple theme using HTML and CSS and the Tumblr variables, I'll probably tweek it a lot along the way.